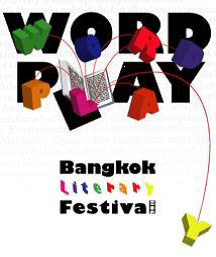 Word Play, the second Bangkok Literary Festival takes place next Sunday, the 25th of March at the Neilson Hays Library on Surawong Road. Last year, I gave a talk on freelance writing and my career in the digital age. Writers giving talks include Philip Cornwel-Smith, Luke Cassady-Dorion, David Young, Dean Barrett and Joe Cummings. The festival starts at 10am and admission is 200 Baht. As part of Word Play, photographer Aroon Thaewchatturat and myself will talk on our book Sacred Skin, an illustrated journey into the world of Sak Yant, Thailand’s spirit tattoos. Our presentation is scheduled for 5.30 pm. Check Voicu Mihnea Simandan‘s page for more info.